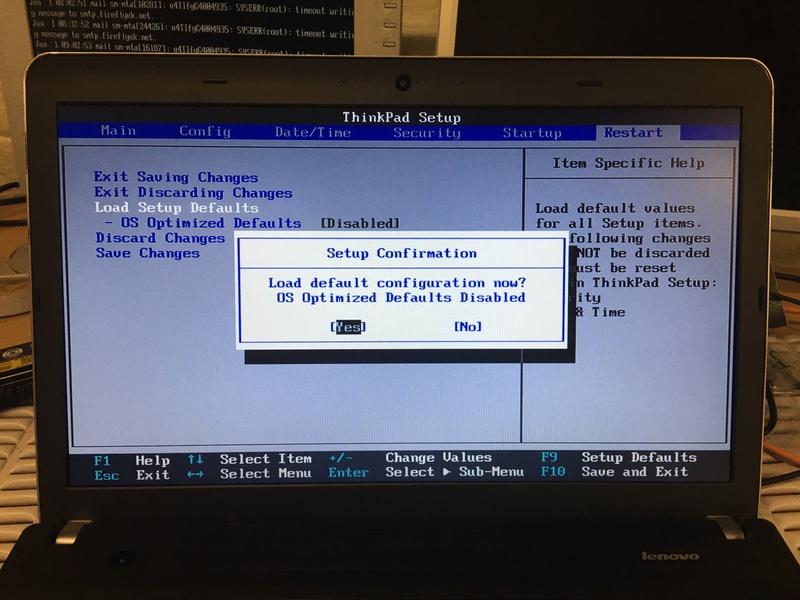 Surftec re-installs all Lenovo systems to a typical default of running Windows 7 Professional, whereas new systems from the Lenovo factory typically come installed with Windows 8 or 10. Windows 8 supports a newer, faster BIOS, UEFI that features further security. To run Windows 7 this needs to be disabled. 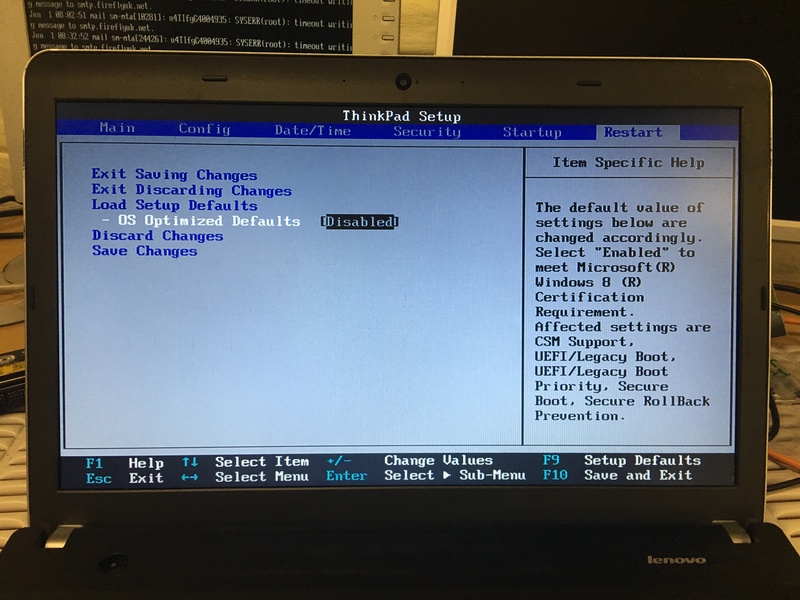 If the end user resets the BIOS these features are switched back on by default, meaning Windows 7 will be unable to start. 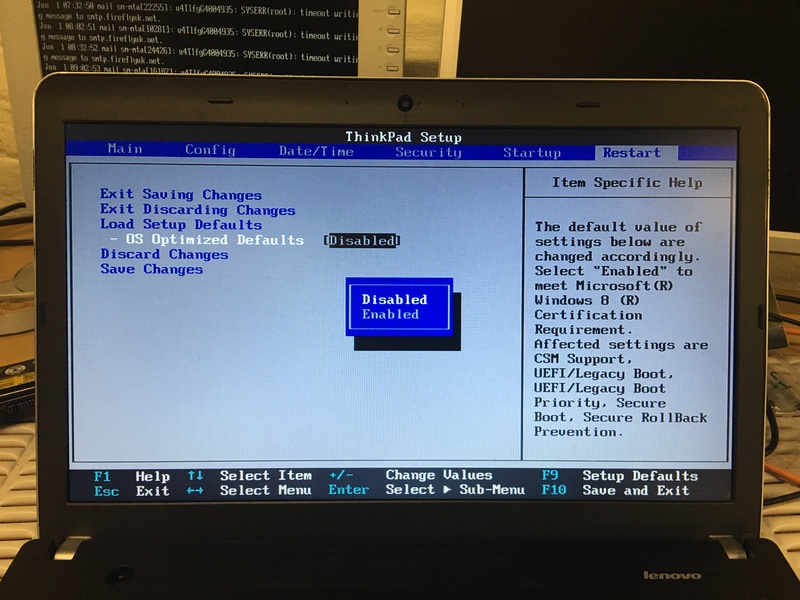 If this has happened or if your system has another problem such as inoperative wireless follow these instructions to restore your BIOS to defaults. Shut down windows, and make sure the laptop is fully switched off. Do not suspend or hibernate Windows, you must go to the start menu and choose “shutdown”. If Windows starts, allow it to complete, choose shutdown and try again. You must be quick to start pressing F1 immediately after pressing the power button. 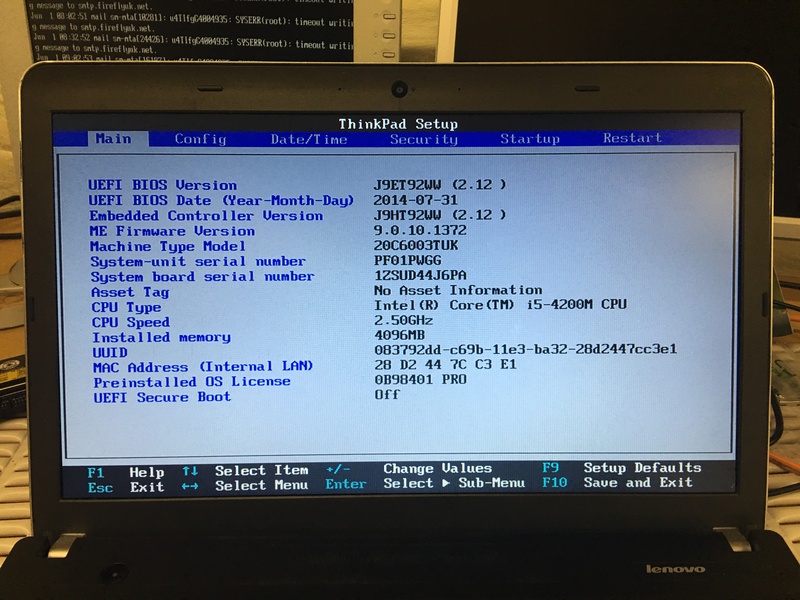 Navigating the BIOS is done by using the keyboard arrow keys. 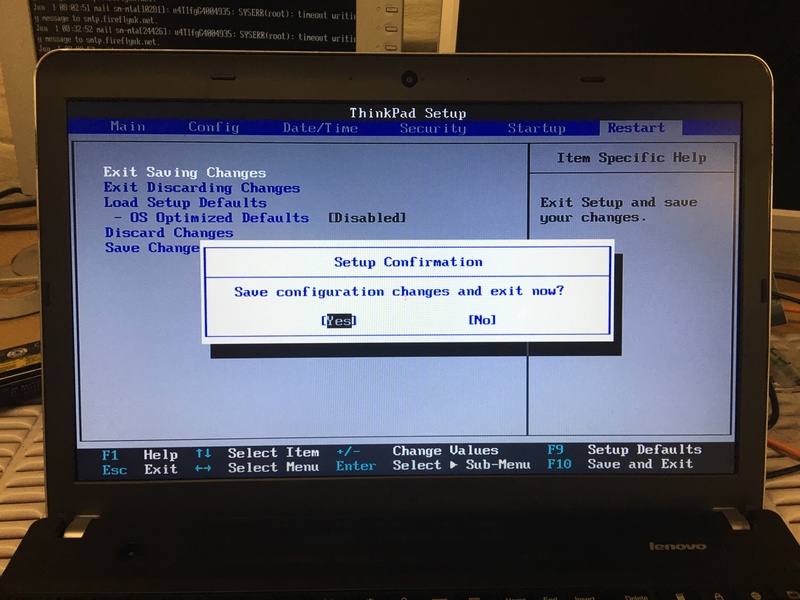 Left and right keys navigate between the top BIOS headings “Main”, “Config”, “Date/Time”, “Security”, “Startup” and “Restart”. The up and down arrows navigate the available options within each page. Enter or return key will open up an option with additional settings, you then use the up and down arrow to highlight the option you want and the return/enter key to select it. Use the right keyboard arrow key to select the “Restart” screen. Press the Return or Enter key, a pop up box will appear. Use the up and down arrow keys to select “Disabled” the selected option is in bolder, whiter text. Use the up arrow once to select “Load Setup Defaults” and press the Return or Enter key. Ensure “Yes” is selected by using the left and right keyboard arrow keys and then press Return or Enter key to select “Yes”. The selected option is highlighted with a black background. Press F10 key and using the left and right arrow keys on the keyboard select “Yes”. The selected option is highlighted with a black background. Press the return or enter key to select Yes, the machine will now save the new settings and restart. Allow Windows to start and retest for the problem.